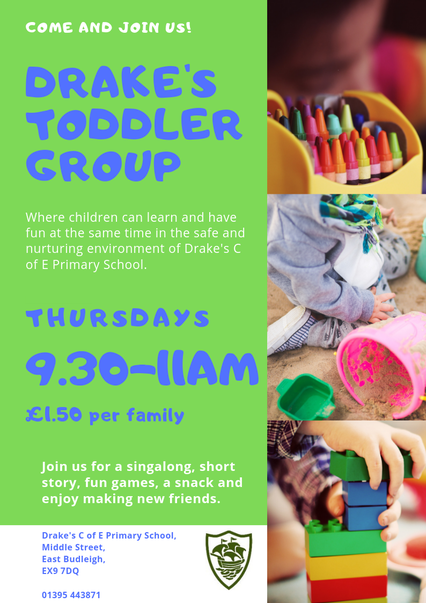 Toddler Groups starting after Easter! 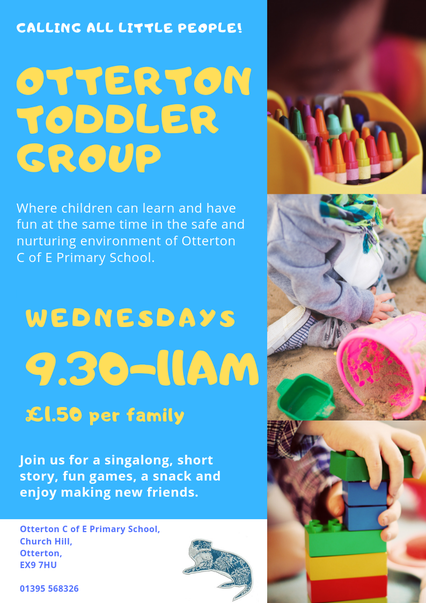 We are very excited that our new Toddler Groups will be starting the first week back after the Easter Holidays, Otterton on a Wednesday and Drake's on a Thursday! 0 to school age, all are welcome. We look forward to seeing you there.